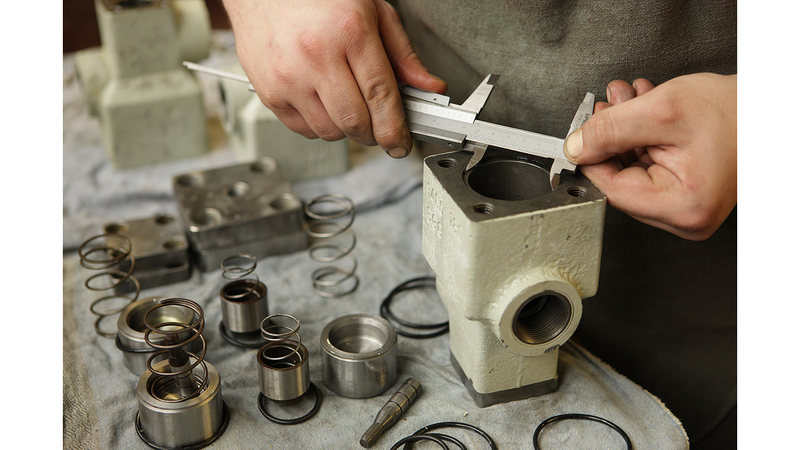 We analyze your broken hydraulic oder pneumatic valves and make you a non-binding offer concerning a needed maintenance. This maintenace as well as the repair of old and/or not available hydraulic and pneumatic valves can be count to one of our strenghts. You get a full maintenance report, that gives you an exact abstract of what is broken, of what can be fixed and the origin of the interference. Furthermore can we help you to avoid future valves interferences or non-repairable damages.